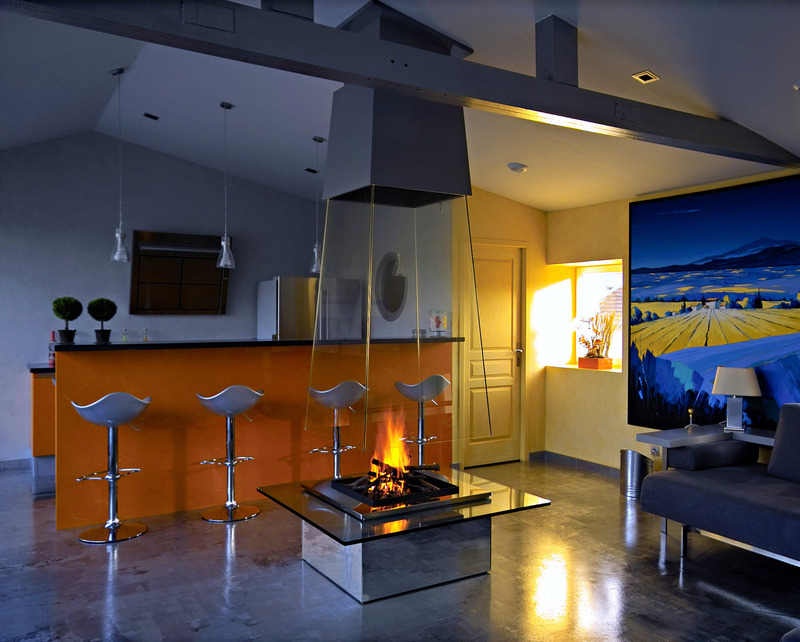 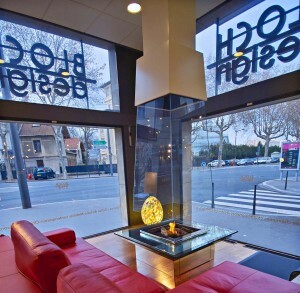 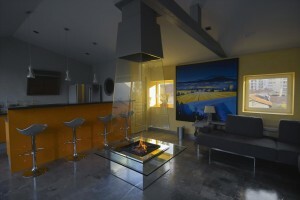 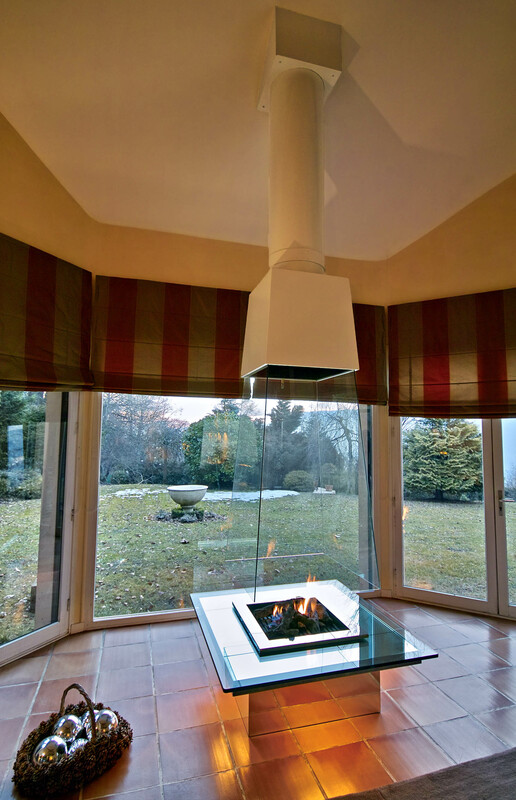 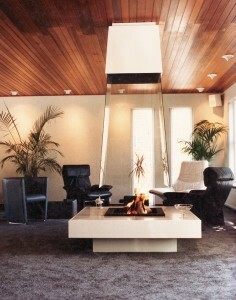 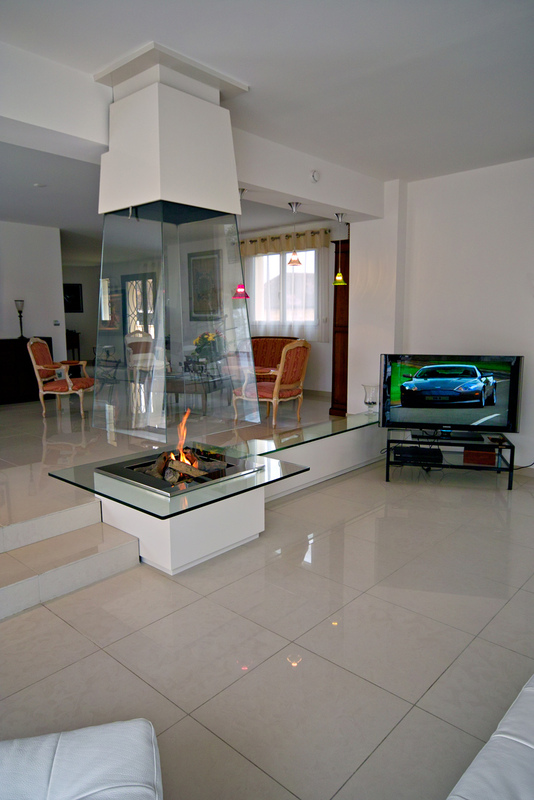 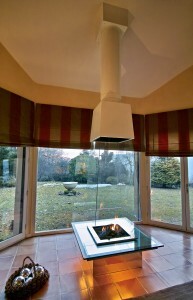 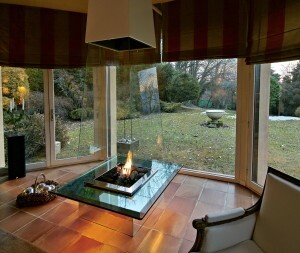 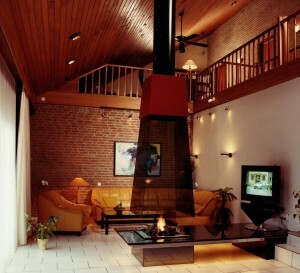 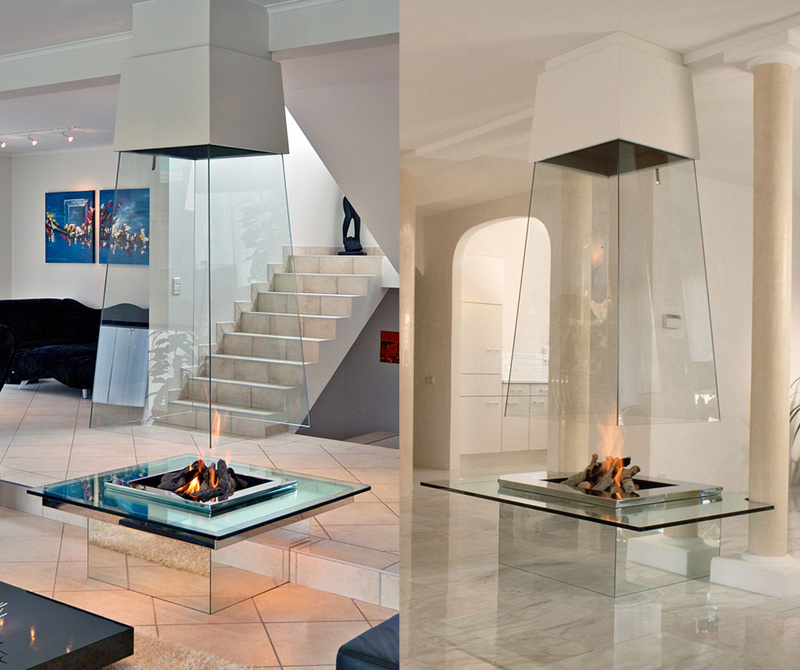 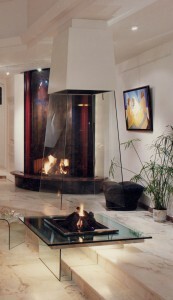 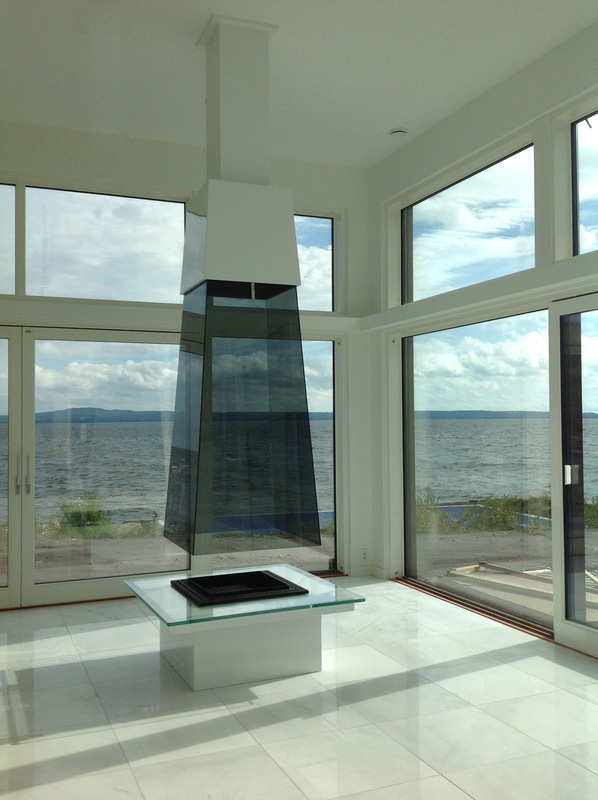 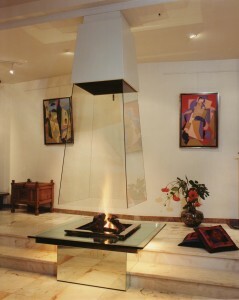 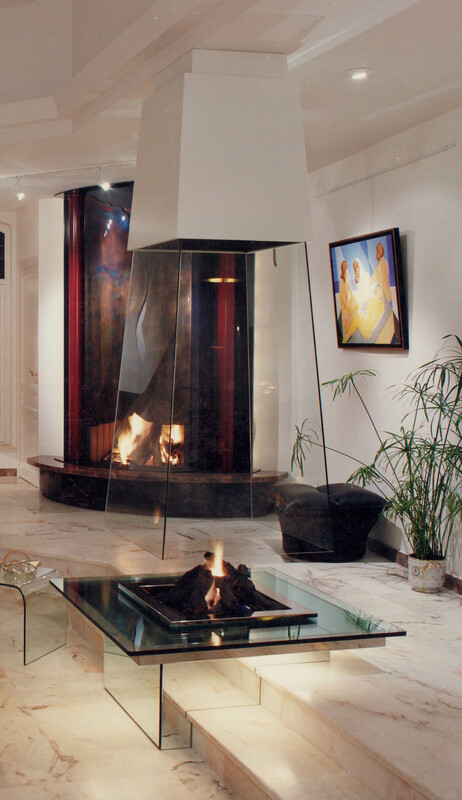 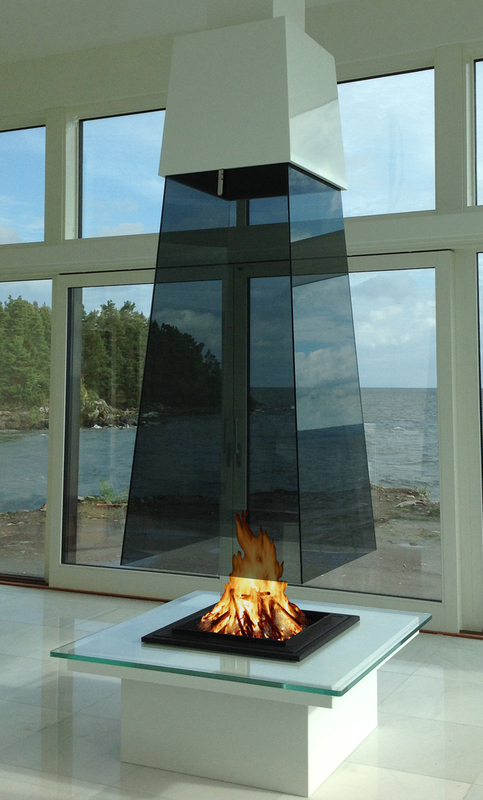 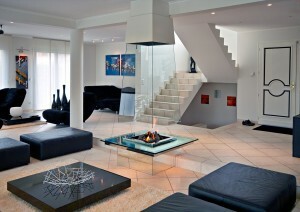 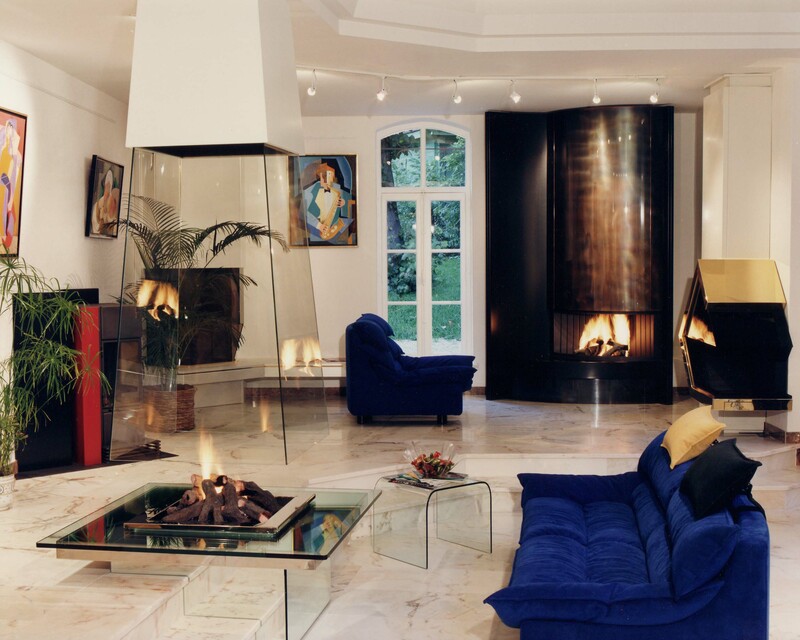 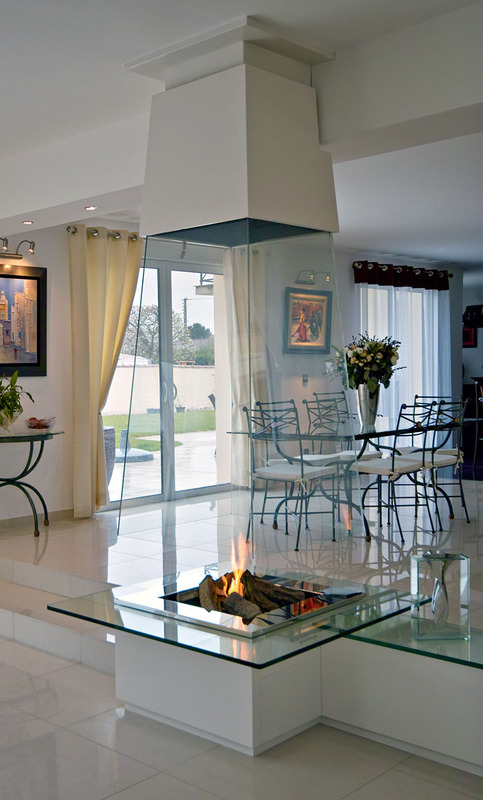 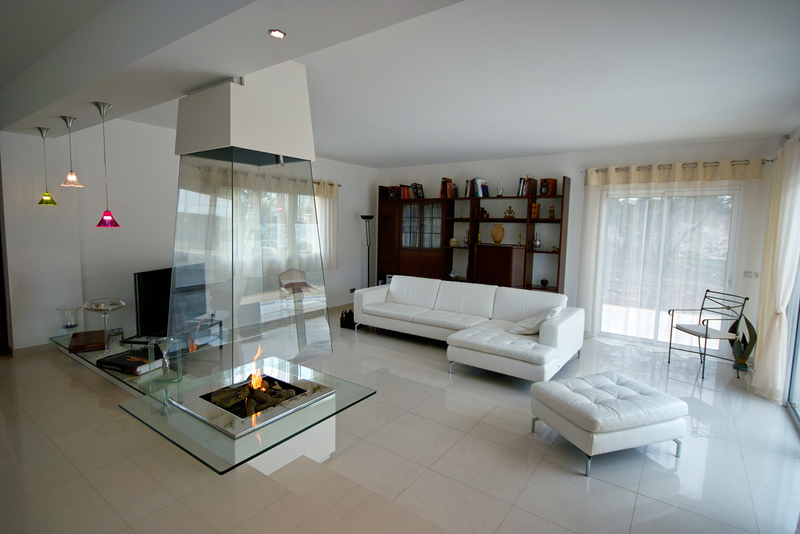 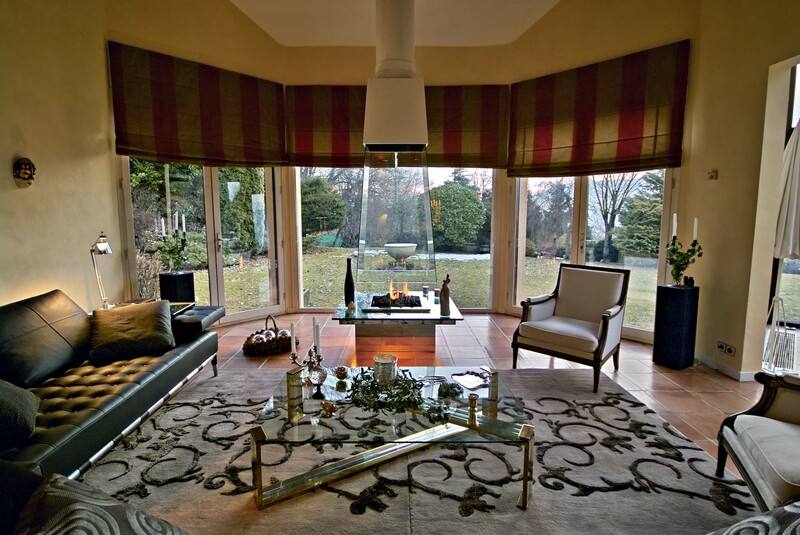 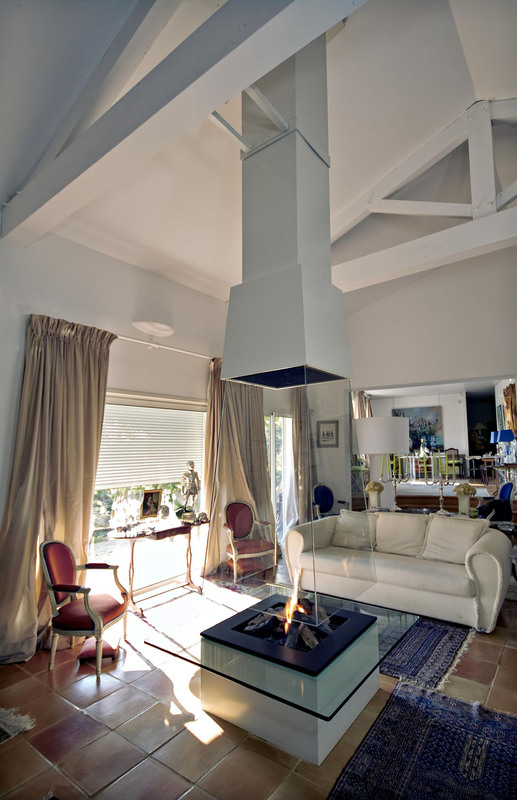 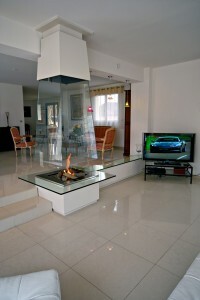 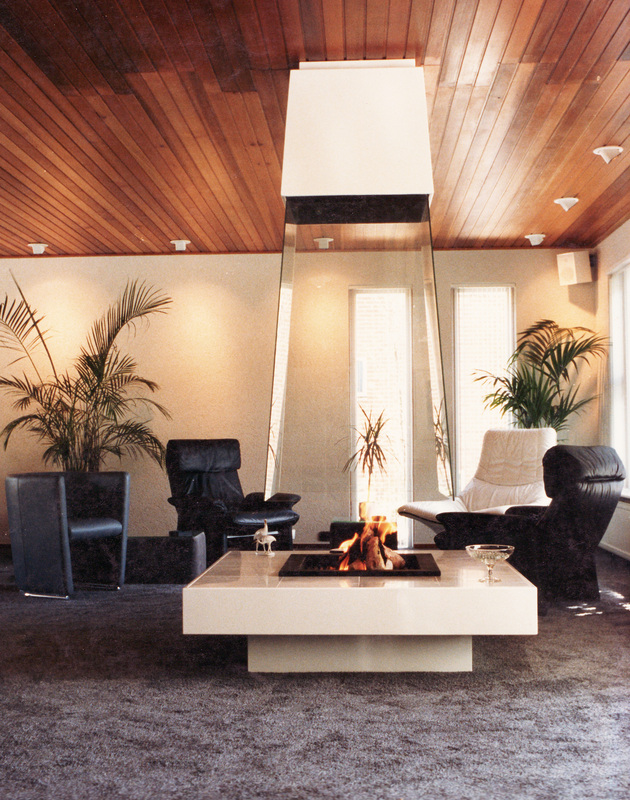 This article shows examples of suspended glass pyramidal fireplaces projects by Bloch Design, offering elegance, transparence, clarity and luxury to your interior. 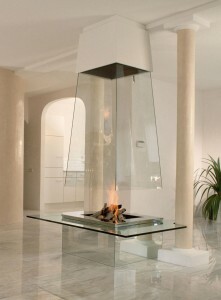 In addition, their clear and open designs will give an immediate and multi-directional heat output. 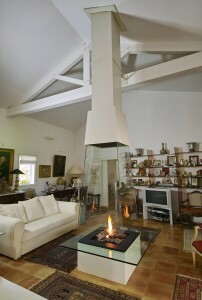 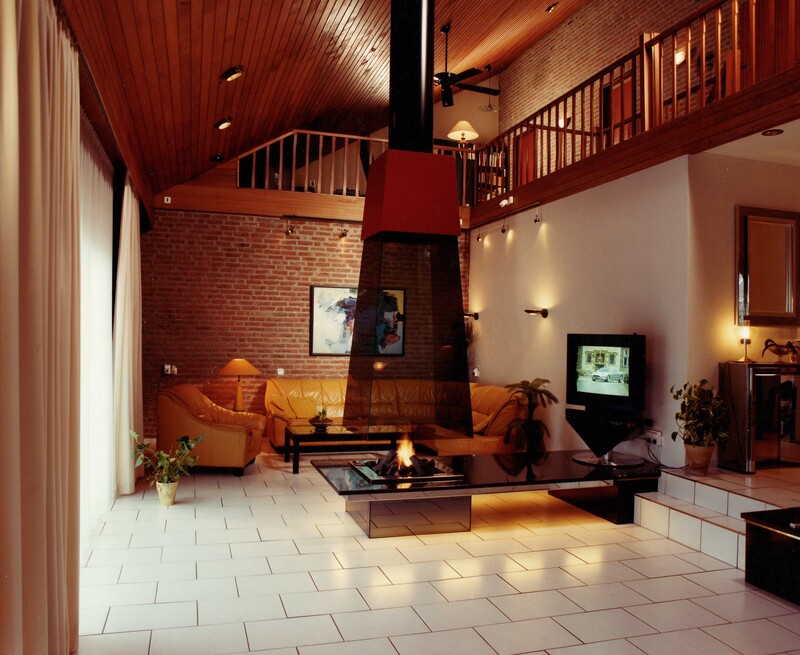 Pyramidal fireplaces can be situated in the middle of a room, used as a separation between two rooms, on a flat floor, in stairs or step as shown below.